"Like all Chive Charities recipients, we lack the ability to adequately convey HOW VERY HIGH our gratitude is. I’ve condensed it down to two words: infinitely ineffable, meaning beyond calculation and beyond language. In one of your videos a darling little girl in a wheelchair enthusiastically expressed it well: You not only made my life 10% happier, you made it a million percent happier! 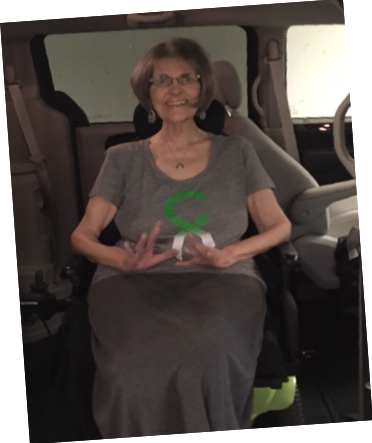 My heart was brim with gratitude when we were presented my Chariot at United Access (a.k.a. Performance Mobility)! Three years previously Richard had taken me there. 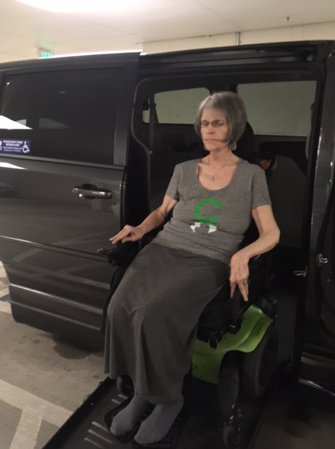 When asked, “How can we help you?”, he replied, “I’m looking for a chariot for my queen.” All too soon it was evident I could no longer be safely transferred from wheelchair to our current van. Had Chive not chimed in I would be a shut-in. Such a thought makes me shudder. The rescuing reality of Chive Charities so generously granting us the gift of liberty from confinement makes me jubilant. 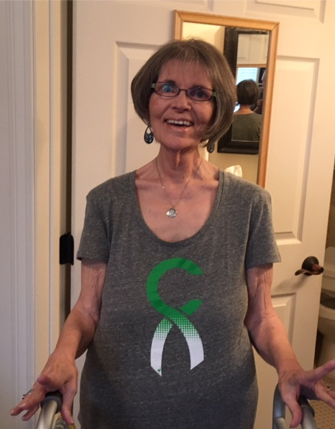 I am unable to lift my arms, and I cannot do the splits or back flips, nor can I do cartwheels or pyramids, nevertheless I can do a whole-soul cheer for Chive! My wheelchair was named Merrily by a friend. 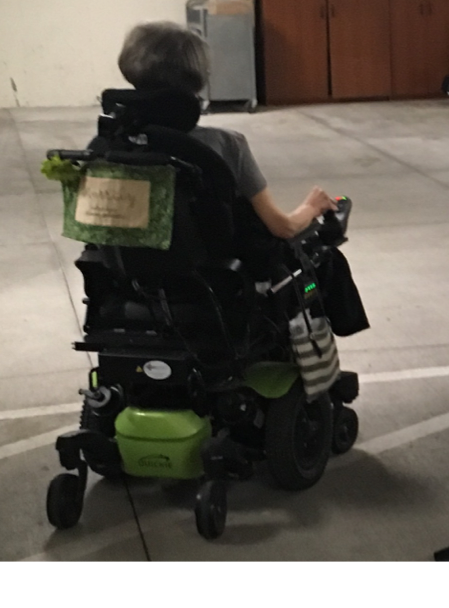 Her mother embroidered a sign to put on the back of it: Merrily rolling along, forever grateful ♥ Grateful for God’s profound power. ♥Grateful for the miracle of being able to stand upright a few minutes each day with the aid of my daddy’s walker. 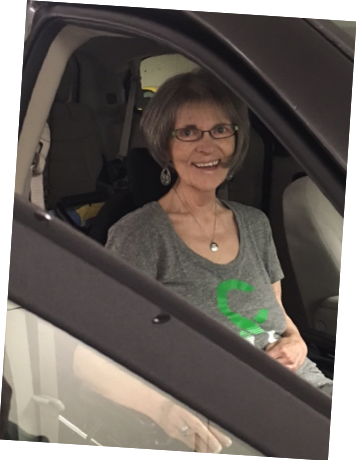 ♥Grateful for the incredible generosity of chivers’/Chive Nation/Chive Charities. ♥Grateful that because of their generosity I am not homebound. Outings revive me! Here’s to Chive Charities: Jumping for joy! Thanks for the revive, Chive! Not being able to travel to be with our children in their homes or to visit other relatives and friends has been a source of sadness, seemingly inconsolable at times. Grateful for positive perspective and electronic connection that mitigates the distress of not being able to be where the heart yearns to be. My chariot changed that! 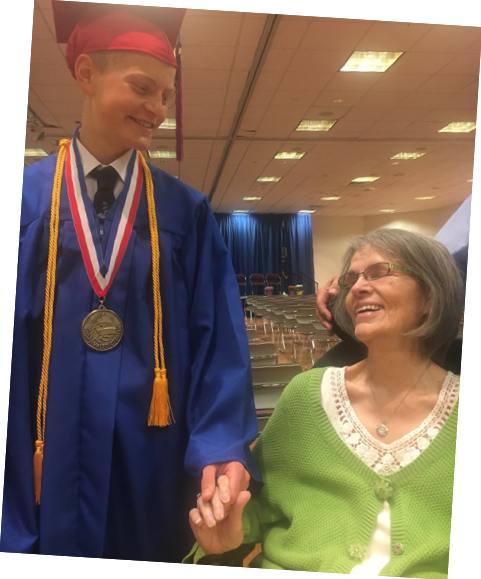 It gave impetus to my determination to attend our grandson’s graduation. It had been more than three years since our last away from home trip. We deliberated “Leap of Faith” or “Lunge of Foolishness.” The anxiety-free access of entering and exiting the van was a huge factor in taking the Leap! How wonderful it was to travel over 700 miles round- trip from Sandy, UT to Boise, ID. There we were – live and in person – as he delivered the best ever valedictorian speech! As much as that 700-mile journey meant to me, it is likewise so very meaningful that I am able to frequently do short trips, even two-mile weekly jaunts to church. 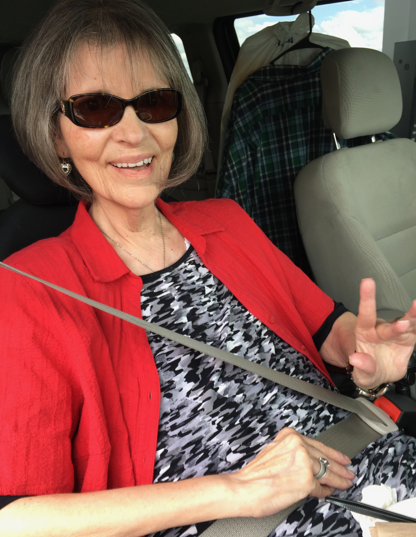 Being able to do so refuels my fortitude tank, giving me enCOURAGEment to deal with the rigors of reality in a way that is pleasing to God and helpful to people."